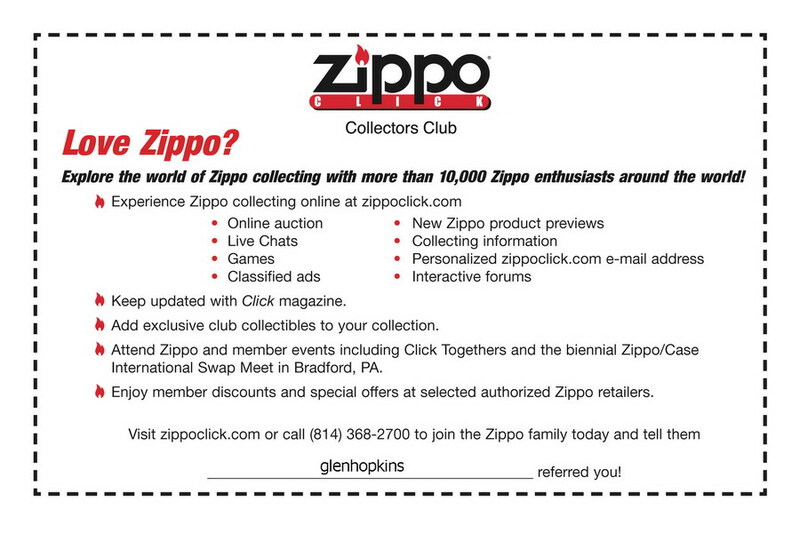 Zippo Click is the international collectors club for Zippo lighter enthusiasts. Members use a internet forum to exchange information on a regular basis. Members receive "Click" magazine delivered to their door and can purchase both special edition lighters and "Test run" lighters direct from Zippo.